The rumours about a built-in ad blocker for Chrome have travelled far and wide since The Wall Street Journal reported it three weeks ago, raising many questions about the future of the publishing, advertising, and ad-blocking worlds. 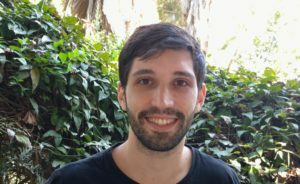 Writing exclusively for ExchangeWire, Gal Glikman (pictured below), CEO, Uponit, outlines the reasons for Google’s contemplated move and the possible implications for the publishing ecosystem. We’ve all read the recent speculations that Google are planning to add a built-in ad blocker to their Chrome browser; but to understand the implications, we must first comprehend the full background of this potential move. In recent years, ad blockers affected the way publishers and advertisers operate; and they’re far from being done. 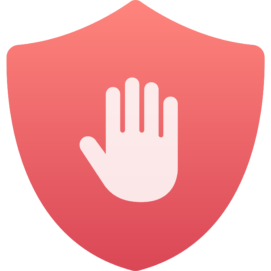 Regardless of the various attempts to reduce the effects of ad blockers, ad blocking rates continue to rise. All in all, the publishing ecosystem has turned into bedlam, with a general lack of trust between users, who suffer from intrusive and sometimes malicious ads, slow loading pages, lack of privacy, and content blocking, publishers, who endure revenue and audience loss, and ad blockers, who take advantage of the situation to profit at the expense of the ecosystem. It is this mess that Google are planning to clean up. Why would Google enter the ad-blocking arena? The increased rate of ad blocker usage has been a worrying trend for many, especially for publishers who rely heavily on advertising revenue to support their business. Ad blocking has become a nuisance far greater than the problem they intended to solve initially. The game is no longer about providing users with a good experience, but about making a profit. Ad blockers, like Adblock Plus, have taken advantage of their dominance to grab revenues, causing a headache even for premium publishers, who now fear to alienate their ad-blocking users with ads, even if the experience they offer is a good one. Among many others, Google, the #1 ad network, have suffered a great deal from this and are reportedly paying Eyeo, the parent company of Adblock Plus, handsomely to serve their ads. Google have the power to successfully execute their plan by playing a major role in all parts of the publishing ecosystem and apply a carrot and stick approach. Their ad-blocking tool will be able to block unwanted ads through Google Chrome, the most popular desktop browser (with over 63% usage, according to StatCounter). Their leading search engine can penalise publishers through factors that affect their SEO rankings, and they have the largest ad network, which can remove advertisers who fail to adhere to their guidelines. While it may seem strange at first for Google to enter the ad blocking arena, since they make most of their profit from ads, it is in fact a brilliant move intended to lower the demand for ‘bad’ ads and increase Google’s ad network dominance. Being a member of the Coalition for Better Ads, Google will reportedly allow displaying ads that meet the Coalition’s guidelines, which protect users from intrusive ads. One of the most significant actions the Coalition have taken so far is surveying users to ascertain which ads they find intolerable and which ads they are willing to accept in return for free access to content. Following the survey, in March 2017, the Coalition published the initial Better Ads Standards, which provide a baseline for the delicate balance between users’ expectations for a free, uninterrupted online experience, and the publishers’ need to sustain their business. Google’s reported move has the power to improve online ad experience for users, and aligns with our efforts to bring fair play to the publishing ecosystem, by mitigating the effects of bad players – ad blockers and advertisers alike. For the past two years, we have been working closely with premium publishers who suffer from ad blocking, to recover high-quality ads and serve them to ad blocking users. The main concern, which always remains above all else, is maintaining a high level of user experience. There is no doubt that some ads are intrusive; however, blocking all ads is not the solution. Though there are conflicting reports on how exactly Google’s ad blocker would work, the main assumption is that it will not block all ads automatically, but primarily filter out lower quality ads. That said, website owners may be required to make sure that all their ads meet the standards set by Google, or suffer the consequences. Is this the end of ad blockers? The short answer is no. Google’s move may hurt ad blockers, but it will not extinguish them. Ad blockers will definitely need to adapt, set themselves apart from Google’s ad blocker, and perhaps change their business model to gain more users. Google’s intention is a good one, and they have the means to enforce proper guidelines, educate users about value exchange, and help publishers and advertisers take an active role with fixing the ad experience.